Greetings from Portland, Oregon. This morning we hiked over the Bridge of the Gods into Washington. Another milestone, to be sure, and a signal that we’re really in the fourth quarter of our trip. Our friend (and former AT alum) Ry met us in Cascade Locks on the south side of the bridge, gave us root beers to drink while we walked over the Columbia, then met us on the other side to whisk us back to Oregon. What a dude! 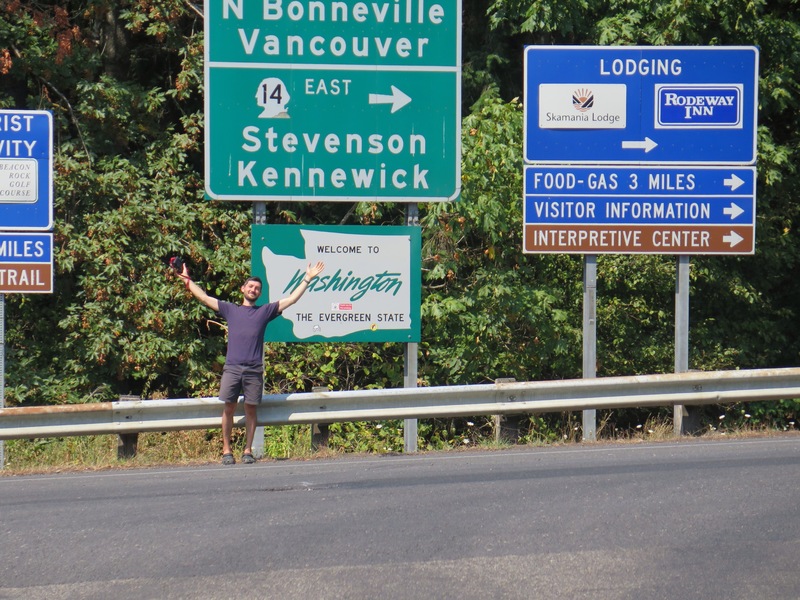 Ry welcomes us to Washington! Washington is rumored to be challenging, wet, and stunningly beautiful. We’re eager to see for ourselves, but not before a few days of R&R on this side of the river. 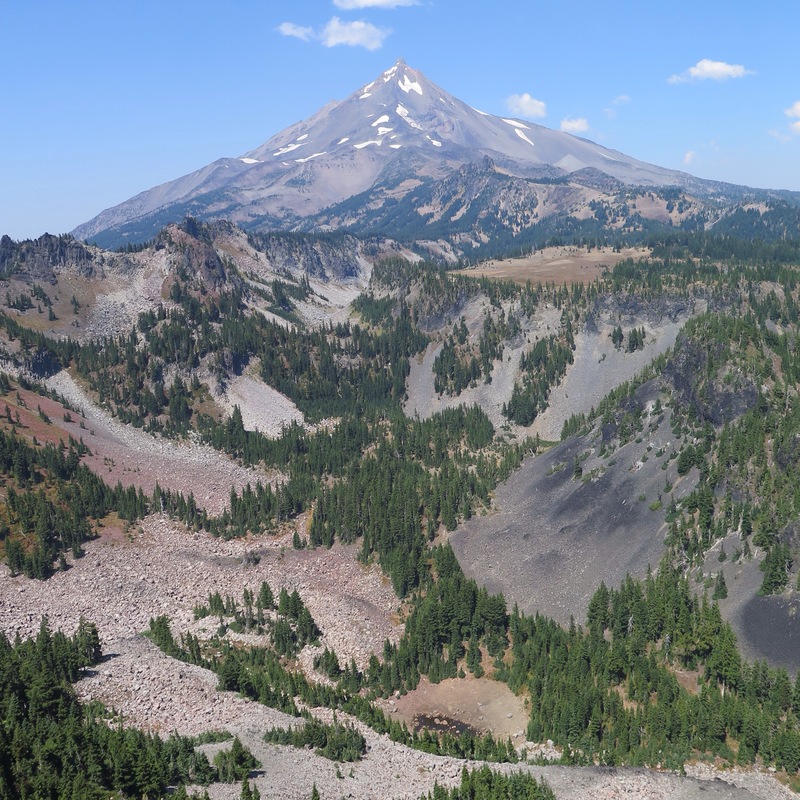 Since our last post, we’ve woven our way through precious and infinite lakes and around the bases of towering volcanoes. The hiking has been easy, generally, though dusty and frustratingly exposed at times. 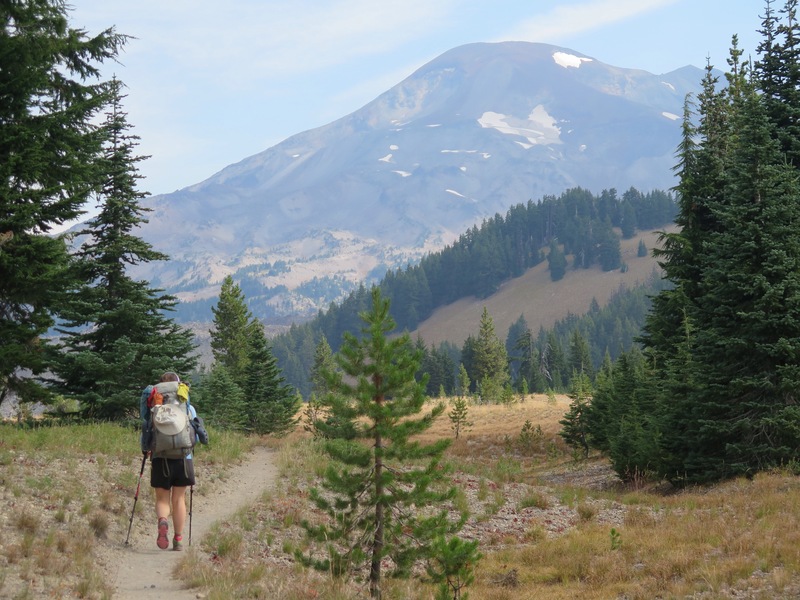 We met many people attempting to backpack all of Oregon in a summer -It’s possible, and worth it, if you can get out here! Three Sisters: Leaving Elk Lake we were surprised to find ourselves beneath three large volcanoes, the three sisters. Though we had a hard time distinguishing them from below, they made numerous appearances as we popped in and out of the trees. Obsideon and lava flows dotted the landscape trough this section, as did spot thunderstorms. Big Lake Youth Camp: The kind folks here deserve a shout out for their hospitality. They allow hikers to send mail drops, shower, swim, and eat for a small donation. We felt like we were back at summer camp for a few sweet hours. Mt. Jefferson: Another doozy. We were fortunate enough to enjoy day-long views of Jefferson before a cold front and thick fog rolled in. 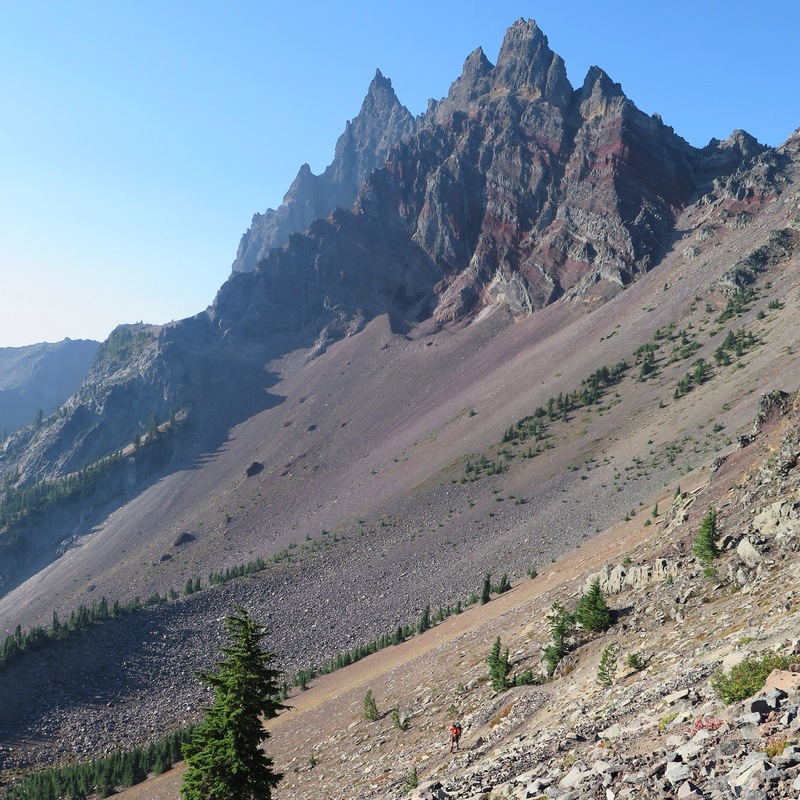 Jefferson Park, a large alpine plateau, was a popular spot with locals from Salem and Portland. 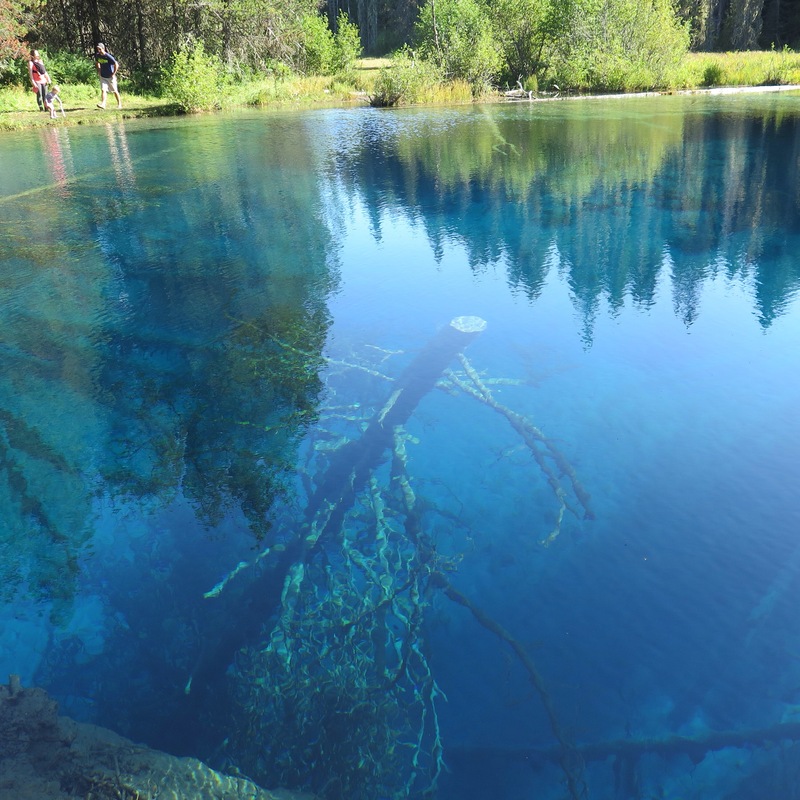 Little Crater Lake: As the name implies, it’s small and 45 feet deep. Worth the side trip. The crystal clear water hardly looks real. 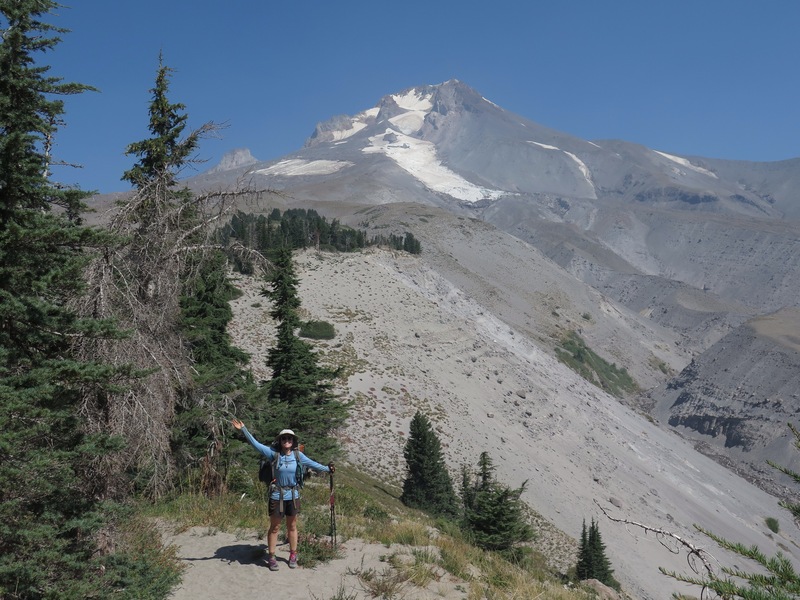 Eagle Creek Alternate: Oregon ended spectacularly with an alternate route off the PCT onto the Eagle Creek Trail. 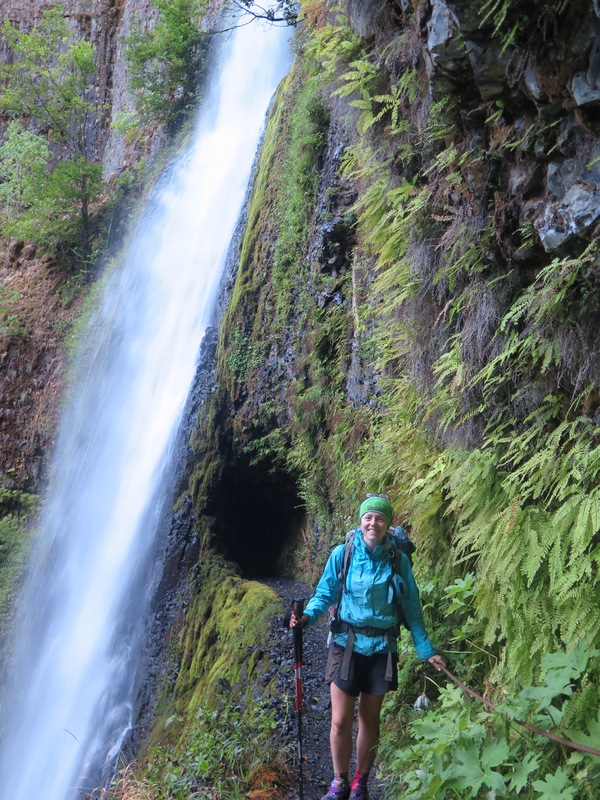 Here’s Veggie at Tunnel Falls, one of the many falls along the route. So, Oregon, so long. Washington, see you soon.